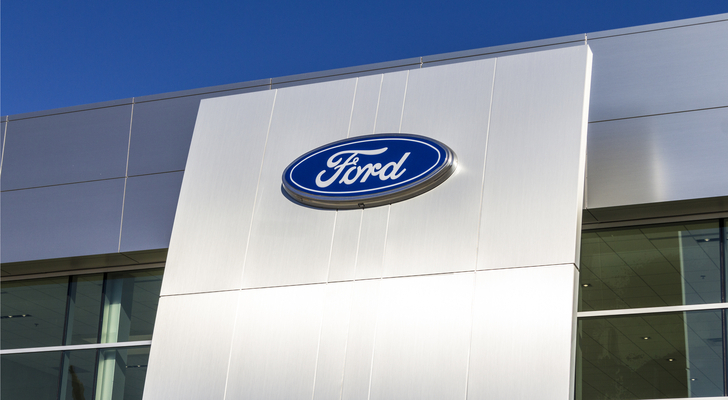 Finally, there’s some strength for Ford Motor Company (NYSE:F) stock. As recently as August, the F stock price was threatening to hit a five-year low. But the trend reversed, and F stock has gained 21% off its 52-week low, and it now sits just off a nine-month high. I’ve been bearish on Ford stock for some time now, but truthfully, I’m happy to see the stock rise. Ford is a major American employer, and the Ford dividend provides income to millions of retirees. The recent gains need to be kept in context. The F stock price still has risen just 12% over the past five years and remains well below even recent peaks. But the stock has gained some traction, and for the first time in a while, there’s a path to more upside. To be honest, I still question just how viable that path is, and I still lean bearish on F stock, despite a seemingly cheap valuation. The “peak auto” concerns I detailed back in May remain, even with stronger sales numbers of late. Longer-term questions about the impact of electric vehicles and autonomous driving aren’t answered yet, either. But Ford at least has a few potential tailwinds at its back, if it can capitalize and if the U.S. and world economies cooperate. A few wins in these key areas, and the rally could continue. It’s likely not a coincidence that both F stock and General Motors Company (NYSE:GM) rallied just as Tesla Inc (NASDAQ:TSLA) stock began to stall out in September. Much of the U.S. market share in electric vehicles that Tesla is modeled to gain is going to come from Ford, GM and Fiat Chrysler Automobiles NV (NYSE:FCAU). And so if the market is projecting lower share — or a lower chance of huge market share — for Tesla, that in turn is good news for Ford. So is commentary from the company of late, notably during its October CEO update. New CEO Jim Hackett took the top spot in May after running the company’s self-driving unit. And his first update showed an aggressive effort in both electric and self-driving cars. Ford plans to spend $5.5 billion on internal combustion engines, for instance, and redeploy it into developing “electrified powertrains.” A partnership with BlackBerry Ltd (NYSE:BB) is pushing the company’s “smart car” strategy going forward. At the least, Ford is willing to face reality. During the CEO update, the company projected that by 2030, the global auto industry would be split roughly equally between gas-powered, hybrid and battery-powered cars. For now, Ford seems intent on competing strongly in all three categories. Ford historically hasn’t done all that well in China, though its performance has improved somewhat. According to the Ford 10-K, the company had 4.8% market share in the country, up from 4.5% two years earlier. But sales are down 5%+ so far this year, with Ford losing share to GM and local manufacturers. On this site, Josh Enomoto cast a skeptical eye toward Ford’s China opportunity last month. I’m inclined to agree, but Ford isn’t giving up yet. The company announced plans to launch more than 50 models in the country by 2025, including EVs and SUVs. A partnership with Alibaba Group Holding Ltd (NYSE:BABA) aims to boost sales as well, as our James Brumley detailed last week. This seems a high-risk, high-reward play. The high number of models seems to add complexity to the operations, and it’s still not clear that any U.S. manufacturer can compete with local manufacturers in that market. China is an important market for Ford, but that’s not the same thing as a guarantee that Ford will win there. Fleet sales weakness has been an undercovered part of the Ford story, as I wrote back in August. Struggles at rental car operators Hertz Global Holdings Inc (NYSE:HTZ) and Avis Budget Group Inc. (NASDAQ:CAR), caused in part by the growth of ride-sharing services, have pressured demand. Those sales are improving though, with a big beat in overall November sales helped by a 26% increase in fleet unit sales. More strength there certainly would be welcome in the near term. Meanwhile, trucks and SUVs continue to shine. November F-series sales were the best for that month in 16 years, according to the Ford sales release. The Explorer had its best November in 13 years. Right now, the categories are in a sweet spot, with the economy strong but gas prices still reasonable. If one of those changes, any weakness in these categories could become a big problem, given the higher margins larger vehicles provide. Below $13, then, there’s still a case for Ford stock. The forward P/E multiple still sits at just 8x, and the stock provides a juicy 4.7% dividend. There’s a case in terms of both measures for an F stock price closer to $15, which still would suggest a sub-10x forward multiple and a 4% yield. I’m not buying that case, yet. I still think U.S. sales will face years of challenges. Overseas, Ford has been inconsistent at best. But there’s more room for optimism than I’ve seen in a while. Ford has long-term challenges, but it also has solid near-term results and an apparent plan for attacking those challenges. Hopefully, those results will continue, and those plans will work out. Article printed from InvestorPlace Media, https://investorplace.com/2017/12/what-ford-needs-to-do-to-keep-rally-going/.